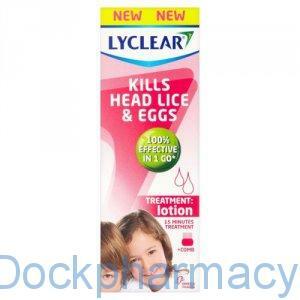 This Lyclear lotion has been clinically proven to kill 100% of head lice and eggs in one treatment. It works by suffocating and dehydrating lice and eggs and should be reapplied in case of re-infestation or abnormal infestation. 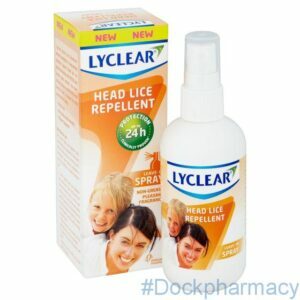 Lyclear Head Lice Repellent serves as an immediate and long-lasting protection against head lice. Its gentle formulation along with IR3535 and natural plant extracts has been clinically proven to effectively repel head lice. This product is suitable for daily use and can be used from 12 months. 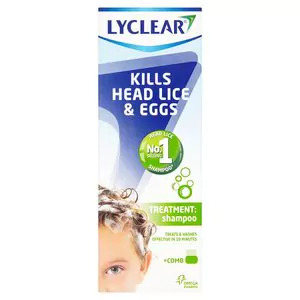 Lyclear Shampoo works by suffocating and dehydrating head lice and eggs and has been clinically tested to kill 100% of head lice. For best results use sufficient amount of shampoo and comb thoroughly to remove all eggs. Effective within 10 minutes. 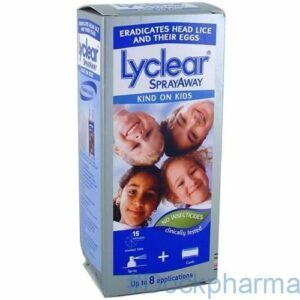 Lyclear SprayAway actively works to eradicate head lice and their eggs. 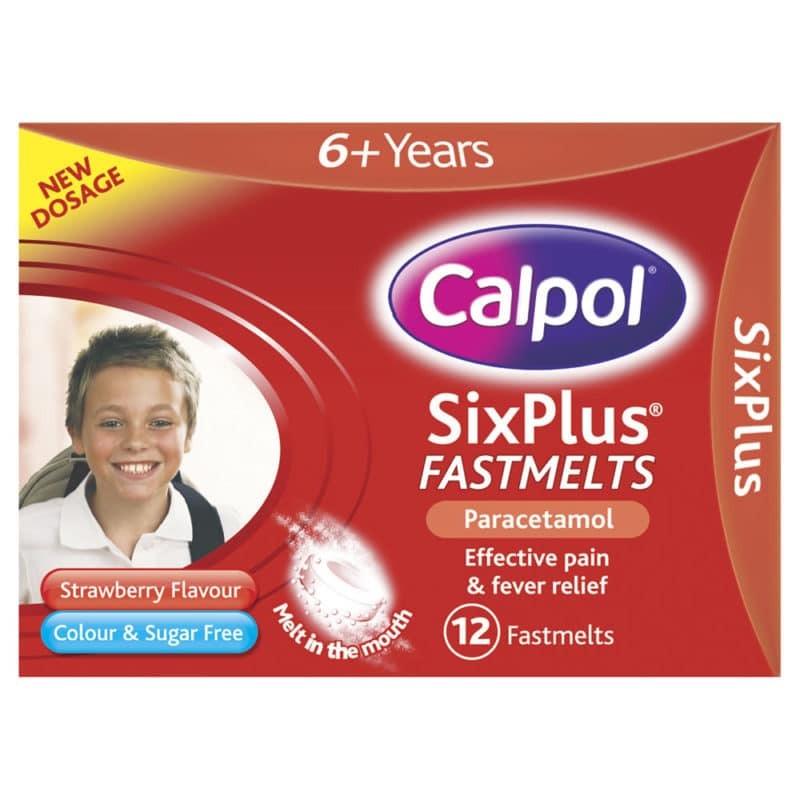 This product contains up to 8 applications and and has been clinically tested. 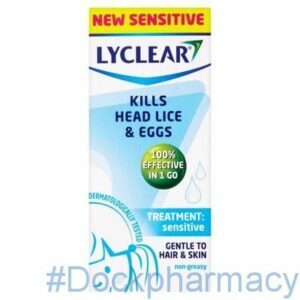 Lyclear sensitive is a kills head lice and eggs in just on application whilst being gentle to the skin and hair. Lyclear Creme Rinse (Permethrin), Which Is An Insecticide Used To Treat Head Lice Infestations, Permethrin Kills Lice And Their Eggs By Poisoning Them. To Treat Head Lice, The Creme Rinse Should Be Used After The Hair Has Been Washed And Towel Dried. Sufficient Creme Rinse To Saturate The Hair And Scalp Should Be Applied. 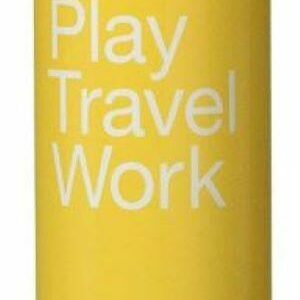 The Lotion Should Be Left On For 10 Minutes, Before Rinsing The Hair Thoroughly With Water. 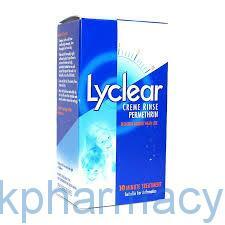 Lyclear Creme Rinse Twin Pack is used to treat head lice and is especially suitable for those who suffer from asthma. It contains the anti-parasitic agents’ permethrin which belongs to a group of medicines called pyrethroids.